"Today's pet parents are thoughtful, conscientious, and passionate. Many of them see their pets as their children. 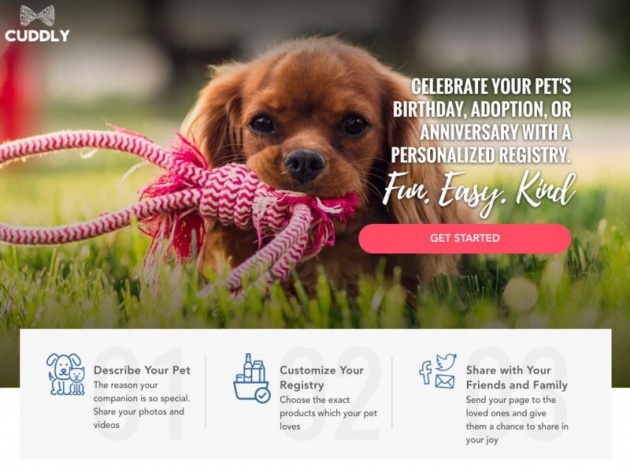 They care not only about providing the best products to maximize pets' lifespans, but also keeping them as comfortable and happy as possible," said Natalise Kalea, Chief Operating Officer of CUDDLY, a pet gift registry featuring thousands of curated products for furry-friends.